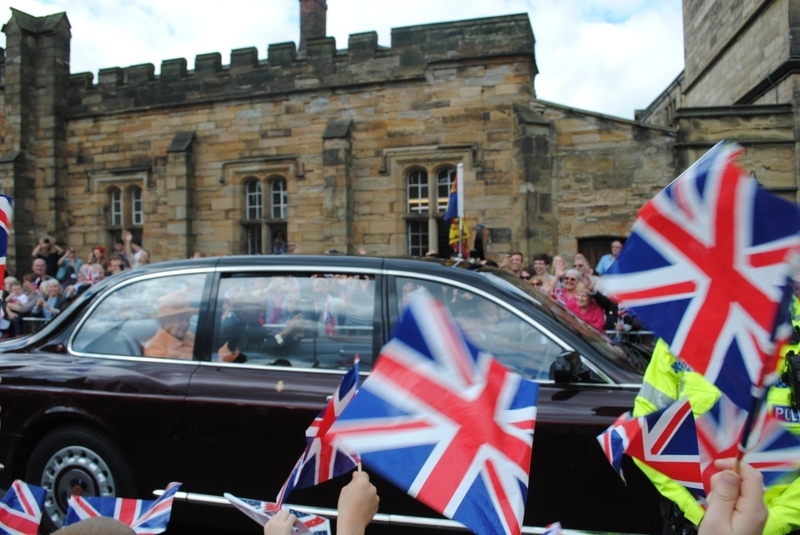 Yesterday the class 3 children went to Palace Green to see the Queen pass on her way to have lunch at Durham Castle. This photograph was taken by Gregor’s mum and she has kindly allowed us to put it onto the website. If you would like to see what the Queen had for lunch then click here to see the menu. Hi, here is a quick update on www.easyfundraising.org.uk. It is an easy online fund raising place for most (if not all) of your online purchases. So far, it is quick and easy to register and use, which makes it very exciting. The registered ‘retailers’ will donate x% per purchase to a ‘cause’, in our case we are registered as The Friends of St Oswald`s C E School – Durham. To use it, you need to individually register and importantly add The Friends of St Oswald`s C E School – Durham to your account and then use it to shop online as you would for example Sainsburys, Tescos, John Lewis, Amazon etc. There are a lot of retailers! Once we reach £15, School will receive a monthly cheque. After informally trying it out over a couple of months, two or three of us have already totted up £7.50. Katie’s mum (nursery) is a volunteer at the Olympics. She has very kindly agreed to take Class 1’s Activity Bear with her and will be keeping a blog. You can leave comments on the blog posts by logging into the learning platform. We hope that you enjoy reading the blog. Many thanks to Ms Munro!